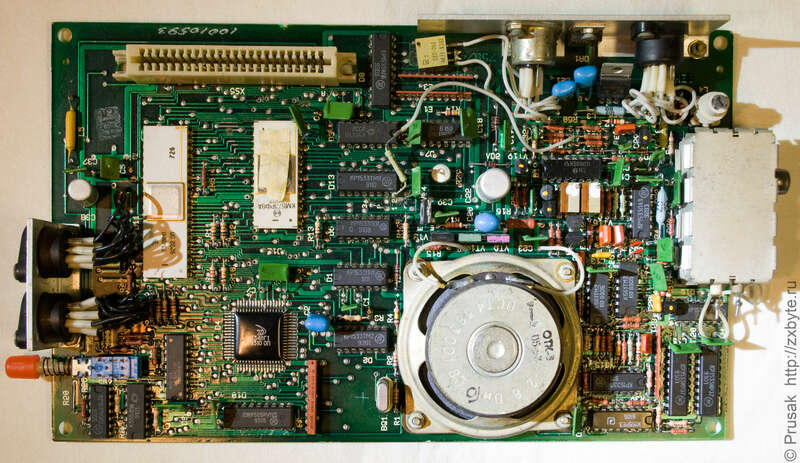 Didn't Vtech make an XT in a Laser 128-style chassis? PDP-11 or Data General Nova mini-computers. I have no idea what I'd do with them. 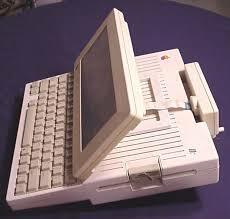 Try a Cambridge Z88. They're quite easy to get hold of cheap and run for weeks on 4 AA batteries. They're actually still useful machines. Awesome things. Yes, Laser XT Compact with built-in 5.25" drive on the side. I once bid on one of those, but got outbid. The other bidder won it at 1 dollar 25 cents. There may have been additional models in the Laser range of XT compatibles. Edited by carlsson, Sat Apr 9, 2016 7:14 AM. Same. I expressed the same idea. There are miniaturized systems by DEC, but not sure they are as common and miniaturized as the BK are. They are provided with a FOCAL cart, and a special Vilnius BASIC. Edited by CatPix, Sat Apr 9, 2016 8:02 AM. But they are getting expensive. I've been chatting with Russians locals, and BK in good shape, with peripherals (FDD controller, sound expansion module, extra RAM for earlier models) and some software reach the 100$ mark. Barebone models can still be found cheap, but you gotta find a local guy to ship one to you. Edited by CatPix, Sat Apr 9, 2016 12:53 PM. Don't just about every computer reach the $100 mark these days? For being an uncommon model with expansions, it doesn't seem too bad to me if you are willing to accept the fact that our hobby lately has become much more expensive than it was, say 5-10 years ago. Yes, a "full set" for 100$/€ isn't unreasonable, but I gave this as a warning as finding a barebone BK on eBay or Etsy for 100 or 150$ without shipping is simply getting robbed as the seller probably got it like me from Russia for 20/25€ and will get it shipped either directly from Russia, so like for me, it add 25E, or ship to him then to you, and make you pay the shipping, so on those 100$ he get a net marging of 75$. Pretty much any retro computer stuff... that said, I do have a long "want" list that will be fulfilled if I ever win the lottery. Some kind of mini-computer... no idea what I'd do with it. Edited by BydoEmpire, Mon Apr 11, 2016 8:52 PM. I almost enjoy classic computer gaming more than I do classic console gaming. Seems that computers have always been the master race. Lol. ZX Spectrum/Harlequin... because building my own for NTSC sounds like fun. OR An Atari Falcon. I don't know what I would do with one, but as the last Atari computer, it'd be cool to have. Edited by gladders, Tue Apr 12, 2016 4:08 AM. Commodore PET 2001 would be my biggest irrational want... absolutely no use for it other than to look at it, but man, I love the built in monitor with the trapezoidal housing. Edited by atarifanboi, Thu Apr 14, 2016 2:40 PM. After looking for it, not surprised. In the same vein, I stumbled recently on the ALF TV GAME. 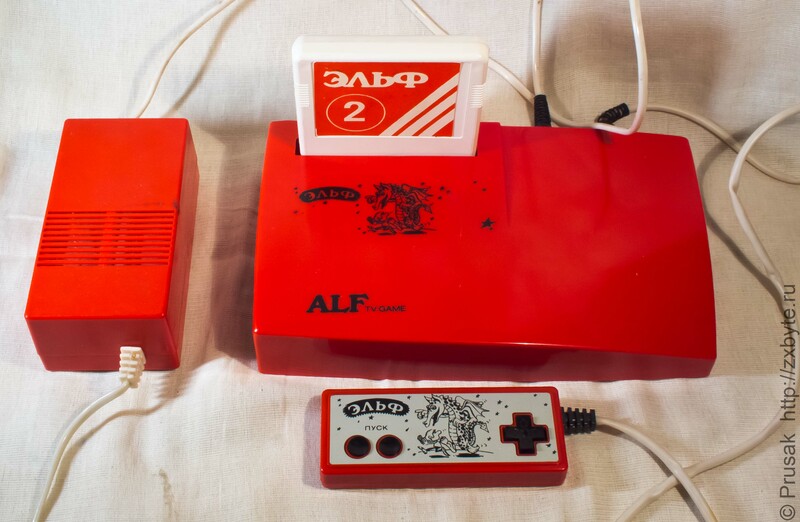 It's a console that was apparently made/sold in Belarus (given the use of Dendy pads, I think it was more made in Taiwan for a Belarus brand). And why am I talking about a console there? Well it's because it's a consolized ZX Spectrum. And I'm surprised that there aren't more of them, given how popular the Spectrum was in Eastern Europe even as late as 1995. 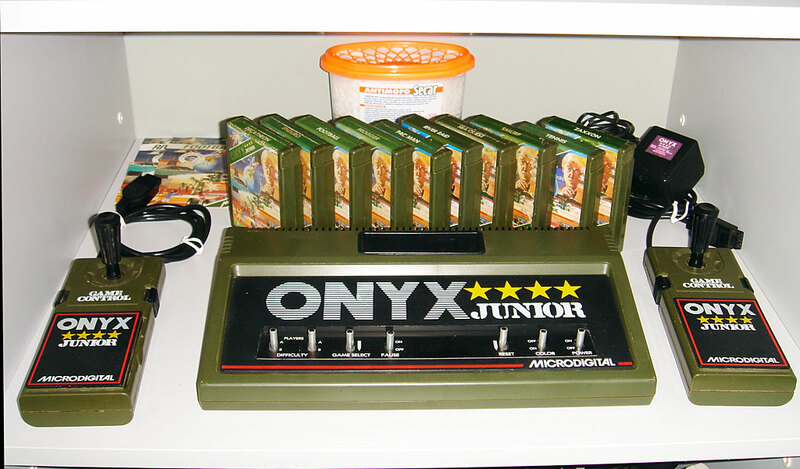 The console saw only 3 cartridge getting produced. Or maybe an elusive 4th one existed, but isn't widespread enough to be know (won't be a first, I own a game for the crappy handhelf system, the Game Master, that isn't listed anywhere on the Internet). But those cartridges contain between 5 and 10 Spectrum games. And the console itself contain 3 games. 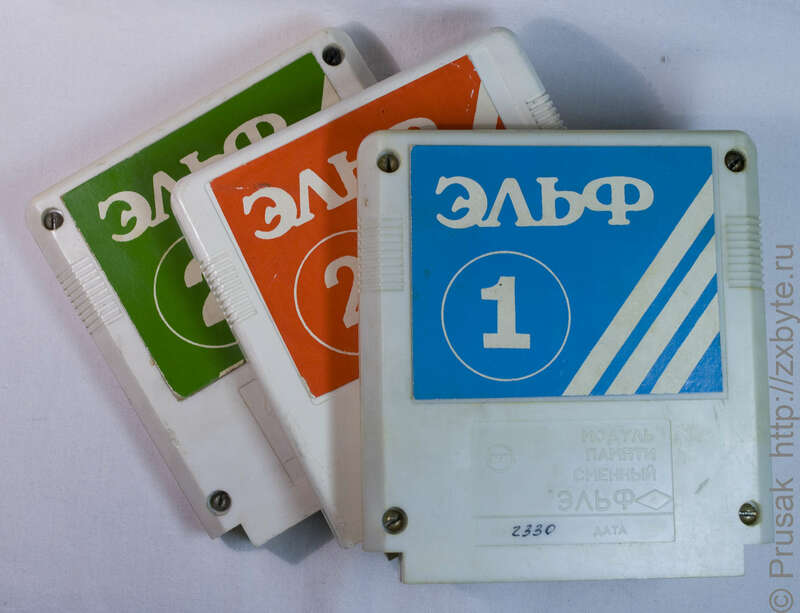 Interestingly, unlike copies of ZX Spectrum games leaked in Eastern Europe at the time, the games were fully localized (most copies of Spectrum games for the Soviet clones only have added names of the people who "ported" them to the Soviet clone, and maybe a translation of the game title (as many of the Soviet clones have minor or major incompatibilities with the original Spectrum. Ironically, some of those issues come for bugs in the Spectrum ROM that were fixed in Soviet releases!). One noteworthy point; probably because the console was based on plans of Soviet Spectrum clones rather than the original one, the console come with a build-in RGB out and a SECAM D/K RF output, but the sound still come from a speaker in the console, not from the TV. I can add that it's a 48K spectrum as well. Edited by CatPix, Thu Apr 14, 2016 3:24 PM. Hm yes, the Enterprise 64 or 128 is a machine I'd at least like to see and play with, not sure I'd take it as far as obtaining one for my collection. 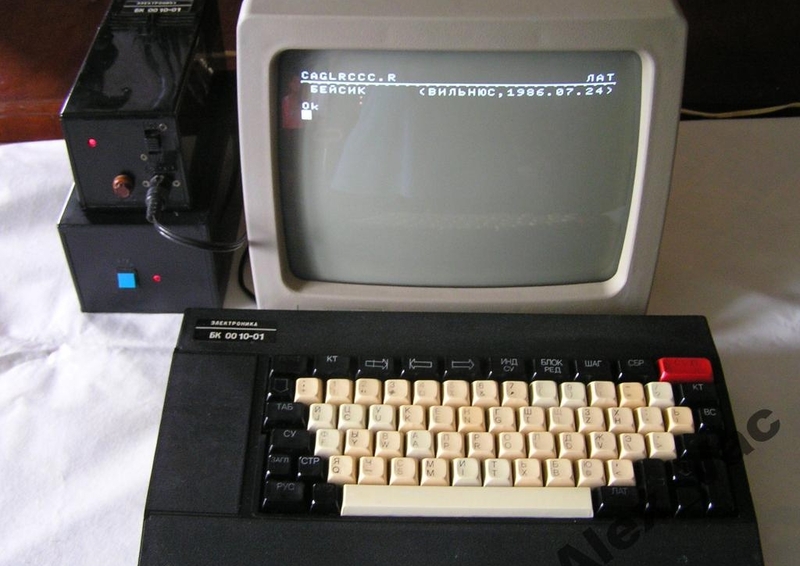 Of course if we're on the level of very rare and expensive computers, the Oric Telestrat should be mentioned too, although I don't know what one does with it that you can't do with e.g. an Atmos. For French collectors, the compatibility of the Telestrat with the telematic network Minitel was and is still a plus, as you can program a Minitel server and use a Minitel on it (tho today this is kinda useless heh). Edited by CatPix, Thu Apr 14, 2016 4:10 PM. Edited by Osgeld, Thu Apr 14, 2016 8:33 PM. I did also see another irrational want whilst looking though, a Memotech MTX512, but since that was also £500, the same really applies. Jupiter Ace is similar, and Grundy Newbrain approaching £200. Any MSX, BBC or NES is the most likely addition TBH as all can be had for under £50. As for the Telestrat, since I have an Atmos already, I don't think there would be much to gain for me. None to be found on eBay at presnet I see. Edited by atarifanboi, Sat Apr 16, 2016 11:50 AM. 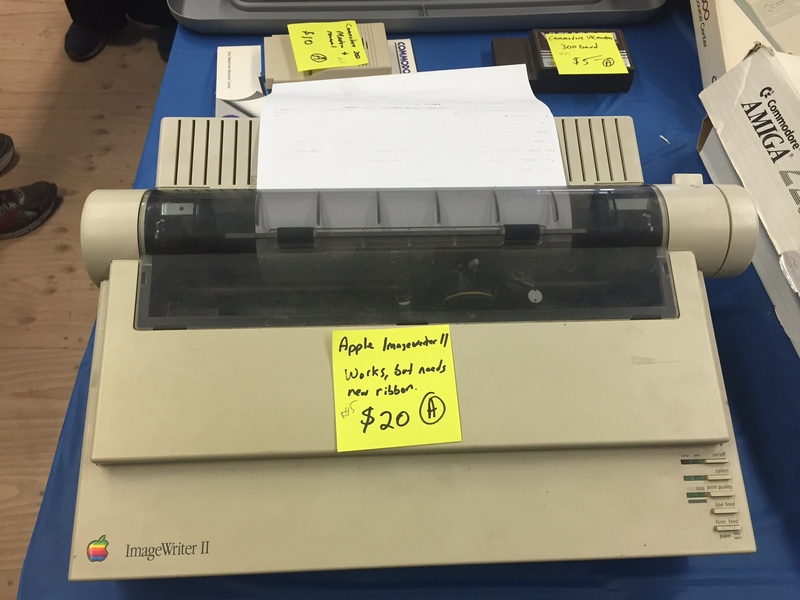 @Elementalchaos - Thanks to Vintage Computing Festival East I have achieved my ImageWriter II irrational want! Man this thing is built like a tank! I would like a Burroughs B - 205. Edited by fultonbot, Sat Apr 16, 2016 9:05 PM. You mean the bat computer in the bat cave?